President Macron wants more wolves in France. His government has just announced that it will let wolf numbers increase from 360 to 500 by 2023. Eighteenth-century Frenchmen would have been horrified at the idea. In his monumental Histoire Naturelle (1749), the Comte de Buffon embraced every aspect of the natural world with enthusiasm. Except for that ‘enemy of all society’, the wolf: ‘consummately disagreeable, his aspect is base and savage, his voice dreadful, his manner ferocious... odious and destructive when living and, when dead, perfectly useless’. 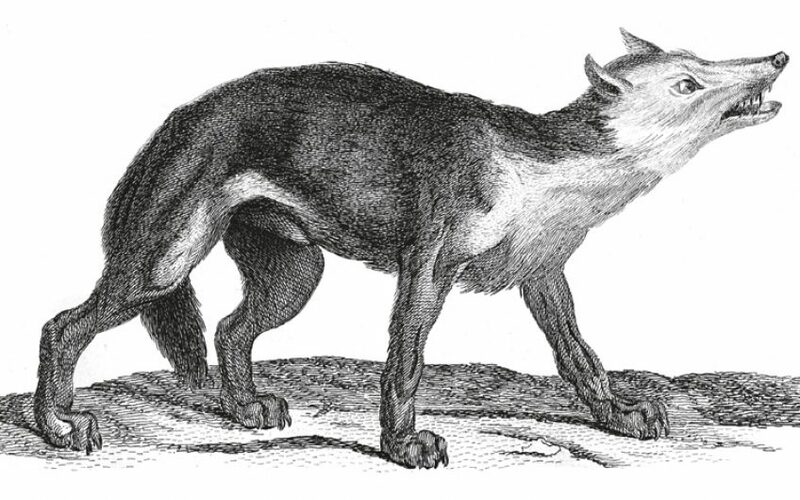 By the close of the 19th century, this enemy of all society – at one time, the most widely distributed of all land mammals, loping tirelessly through the dense forests of central Europe, across the grassland prairies of North America, the Arctic tundra and Arabian desert – had been persecuted with murderous zeal almost to the point of extinction. In the US, two million were shot, trapped and poisoned. If they were caught alive, their mouths were wired up and they were left to starve, or they were set on fire or clubbed to death. But the wolf has returned, traversing mountains, rivers and motorways to recolonise parts of the Netherlands, Sweden, Denmark and Germany. Reintroduced into Yellowstone Park just over twenty years ago, the wolf is credited with rebalancing the ecosystem in this wilderness larger than North Wales. Its reduction, through hunting, of the numbers of elk and coyotes has allowed regeneration of trees and shrubs, and an ‘explosion of species richness’. It has improved the habitat for squirrels, beavers, eagles, songbirds and even beetles. The wolf is highly intelligent and resourceful. But the secret of its resilience lies in its highly ordered social structure. This has been sustained by mutual bonds of affection and the faculty of telepathic communication on which the collective activities of the pack depend. This mysterious faculty of extrasensory communication eludes scientific scrutiny but, it must be presumed, is essential to the wolf’s success as a collective hunter. The moose is a powerful foe and, notes Melch, the pack must adapt its tactics to the terrain. First, there’s the stalk (‘restrained and holding themselves in check’) until they’re near enough to rush towards their chosen prey. This in turn initiates the chase and the opportunity for the pack to wound their victim by grabbing at its haunches with their massive jaws, allowing the fearless leader to lunge at the neck and, by crushing the windpipe, cause death by asphyxiation. French farmers may view with trepidation the return of this most successful predator. But the insights into the collective mentality of the wolf since its reintroduction into Yellowstone Park allow us to make some amends for its murderous persecution in the past. No longer demonised as ‘consummately disagreeable’, the wolf now seems a charismatic, almost spiritual creature – a loyal spouse and devoted parent and, among its own kind, selfless and affectionate.